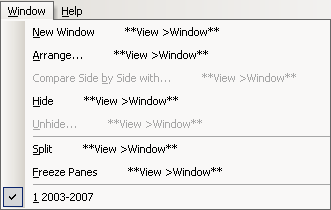 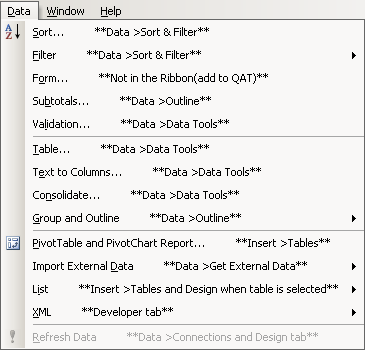 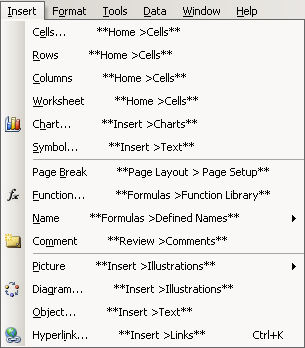 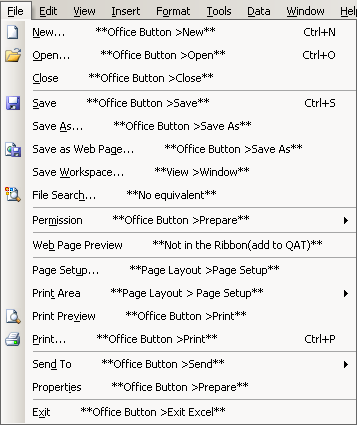 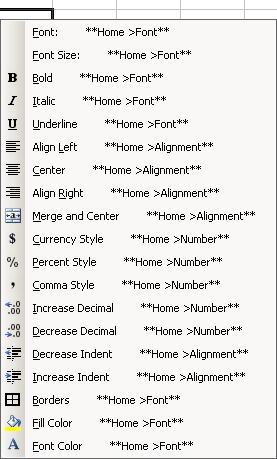 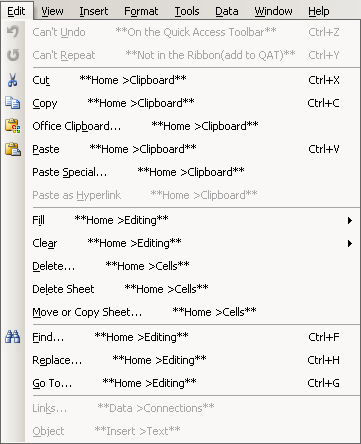 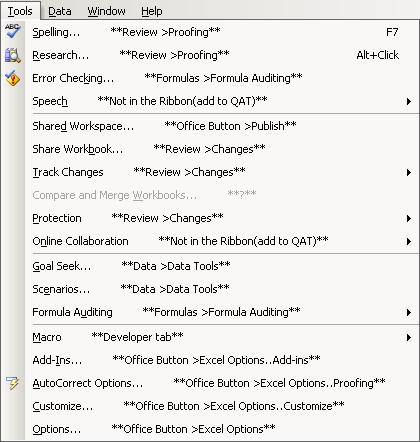 The pictures below will help you to find the commands in Excel 2007.
to the QAT (Quick Access Toolbar). 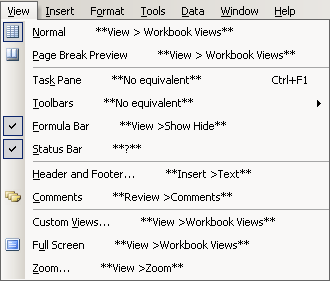 Or faster,right click on the QAT and choose "Customize Quick Access Toolbar"
You can also find the Standard and Formatting toolbar below the Worksheet Menu Bar screenshots. 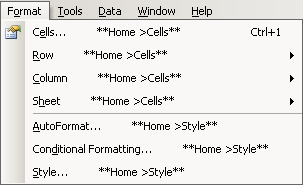 Where is the list with open files ? 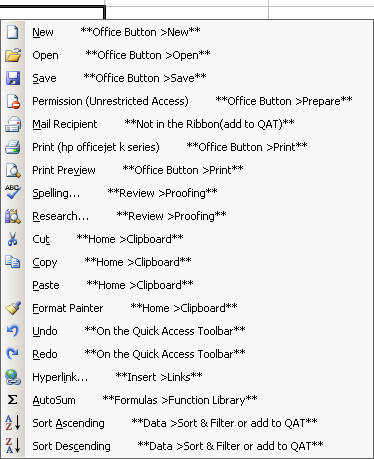 Go to View>Window and right click on the option below to add it to the QAT so it is always accessible.